img. 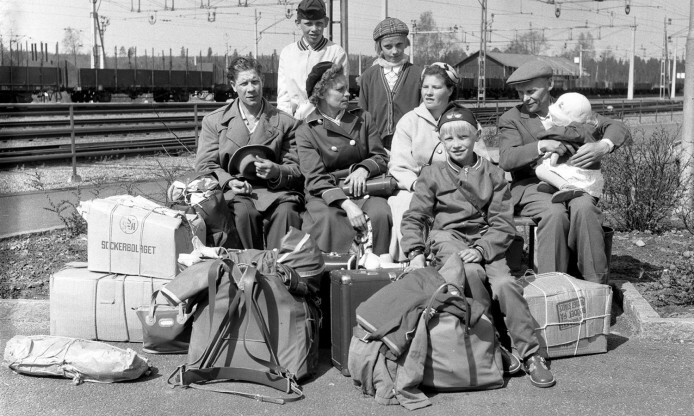 Moving back to Finland: a family at the train station, 1959, Anders Bogland, Örebro County Museum. Public Domain, via Europeana. The Europeana Migration project is proud to announce the launch of the flagship exhibition in the Thematic Collection dedicated to Migration, which showcases how people travelling and settling abroad have significatly changed the world and also shaped our cultural heritage and identity. Composed of six chapters, People on the move wants to reflect upon the concrete changes that migration made: migration impacts the fashion we wear, the arts we enjoy and the cities that form the backdrop to our lives. It has also resulted in thousands of works of art and many inventions. Journeying through history and across continents, this exhibition takes a broad view of the enriching effects of migration. Of the millions of stories that could be told, we’ve hand-picked some of the memorable stories of inspiring individuals and communities who have made their mark. This exhibition is an output of the project Migration in Arts and Sciences. ← 2018 World Day for Audiovisual Heritage – add your event!